This Sunday sees Manchester United take on Chelsea at Old Trafford, a matchup of the two sides who have won the last seven Premier League titles. United have won all four of their league games thus far – winning 2-1 at West Brom in the opening match and then smashing Tottenham 3-0, Arsenal 8-2 and Bolton 5-0. Chelsea have picked up 10 points out of 12 available to them, but have been overshadowed by both the Red Devils and Manchester City, who have been dominating the sports pages with their impressive performances. 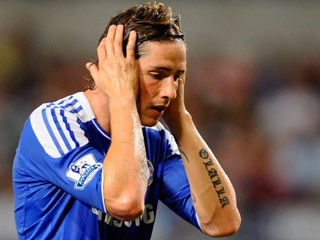 Fernando Torres, bought by Chelsea for £50m in January, is still misfiring and has only scored once for the Blues. He is looking a shadow of the player he was when he won Euro 2008 for Spain and was such a clinical finisher in his first two seasons at Liverpool. It will be interesting to see if manager Andre Villas-Boas sticks with youngster Daniel Sturridge, who started and scored in the win against Sunderland last Saturday, rather than either Torres or Didier Drogba. 1) The Premier League is even stronger this year than last. Manchesters United and City, and Chelsea are all beyond reach, so Tottenham look to be in a three-horse race for the final Champions League spot with Arsenal, who they last finished above in about 1961, and Liverpool, who strengthened their squad greatly from last season. 2) Even if they qualified for the Champions League, Spurs have little chance of winning it. Shouldn’t triumphing in the Europa League trump just being in the top European competition? When did trophies get devalued to a point that you would rather just be in another tournament than win the one you’re in? 3) If Spurs manage to finish fourth – next summer, after Euro 2012 when current national team boss Fabio Capello’s contact expires, Harry Redknapp will be ordained as the next England manager – so he would not be around for the Champions League campaign anyway. The man has won one trophy in his whole career (the FA Cup with Portsmouth in 2008) – he should be doing his all to try to add to that total. 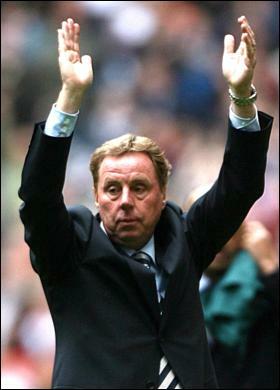 But Redknapp looks to be persisting with this policy in the Europa League – a tournament he referred to before the season as a “nuisance”. I guess Sebastian was wrong – the seaweed is greener in somebody else’s lake. Elsewhere this weekend…well there’s not a very good slate of games to be honest. Arsenal, who won their first league game of the season against Swansea last weekend, will travel to Blackburn – who’s fans are planning a pre-game protest over their inept manager Steve Kean. Draw specialists Aston Villa will be sharing the spoils with Newcastle; Bolton take on Norwich at the Reebok Stadium; Fulham will be the team beaten heavily by Manchester City this weekend; and Swansea try to score their first Premiership goal ever when they play West Brom in Wales. Last week I predicted 6 correct outcomes versus 3 wrong ones – having failed to notice there was a Monday night game and so totally missed QPR vs Newcastle.